The alumni and brothers of the Alpha Alpha chapter of Tau Kappa Epsilon (TKE) will celebrate the fraternity’s 50th anniversary this weekend. 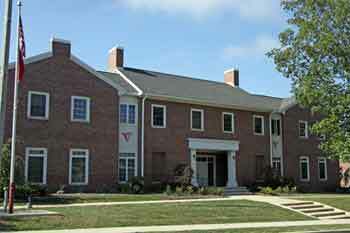 TKE originated on campus in 1926, but it lost its charter due to low membership during the Great Depression. It regained its charter in 1962, becoming the first fraternity at Wabash to admit African-Americans. TKE also did not discriminate against religion and did not have a blackball system or allow hazing when it was re-chartered. The members of TKE will start their celebration tonight at 4 p.m. in Baxter 101 with a panel discussion on the fraternity’s re-chartering and early years. Saturday, they will have a cookout before the football game and will have a banquet in the evening at the Caleb Mills House to conclude the celebration. Members will make presentations and share stories at the banquet.